Essentials of Training Special Populations is an indispensable text for aspiring and established exercise professionals working with special populations such as children, aging adults, and clients with temporary or permanent physical or cognitive conditions and disorders.Clients with special conditions often require modifications to general exercise recommendations, specific exercise facility design, and particular training equipment. This text will help exercise professionals design customized programs for clients with these unique considerations. 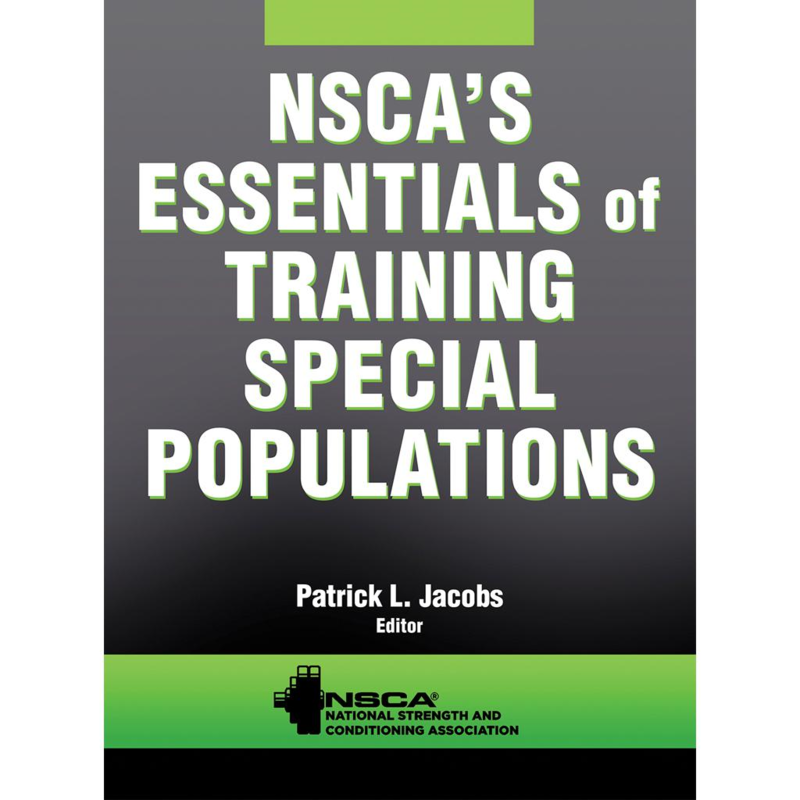 Essentials of Training Special Populations is the ideal preparatory resource for those seeking to become an NSCA Certified Special Population Specialist (CSPS) and a practical reference for anyone who assesses, motivates, educates, and trains special population clients regarding their health and fitness needs. Editor Patrick L. Jacobs and a team of qualified contributors provide evidence-based information and recommendations on particular training protocols for a breadth of conditions, including musculoskeletal conditions, cardiovascular conditions, immunologic disorders, and cancer.